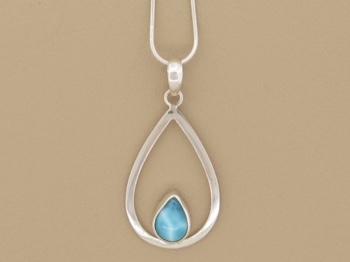 A special larimar stone tear set in a smooth, clean sterling silver tear frame. 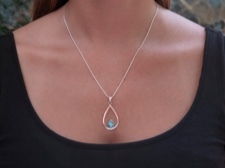 Larimar is a rare gemstone found only in a mountainous, hard to access province of Barahona in the Dominican Republic. 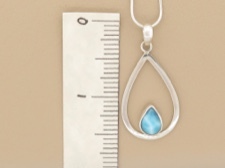 We handpick all the larimar stones for our exclusive Caravan Collection and have them set in sterling silver by master craftsmen.